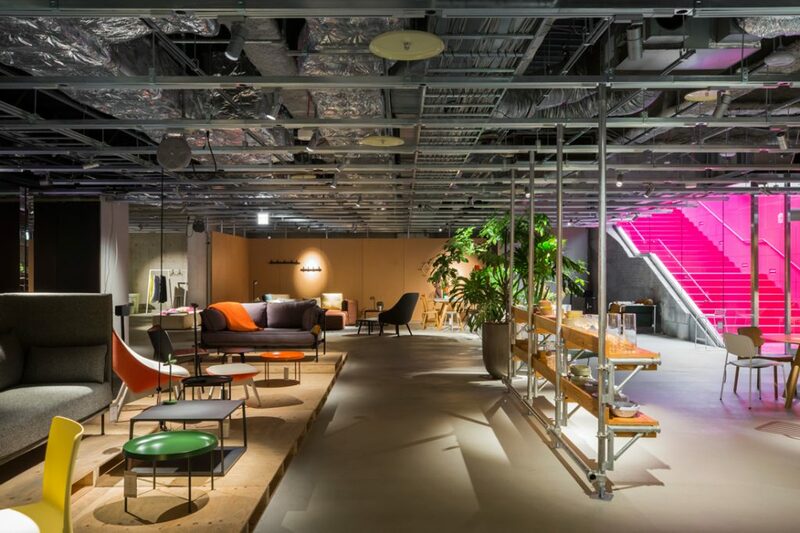 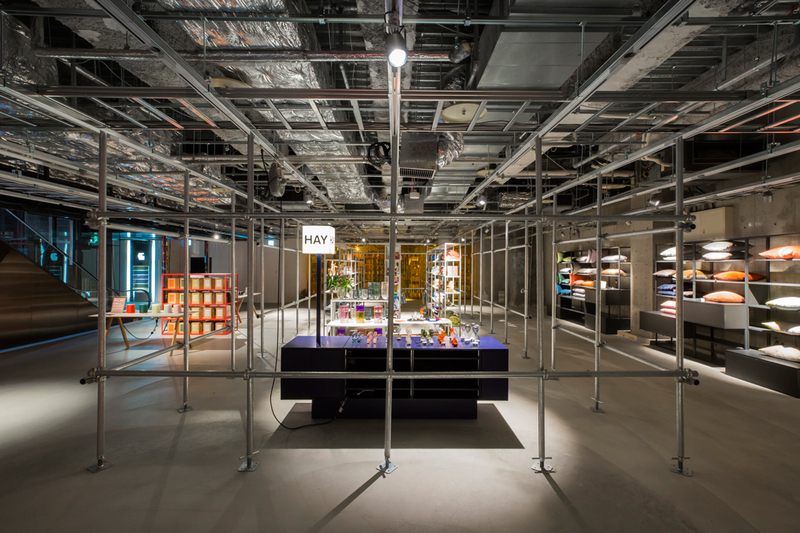 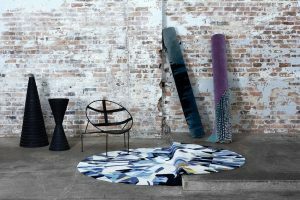 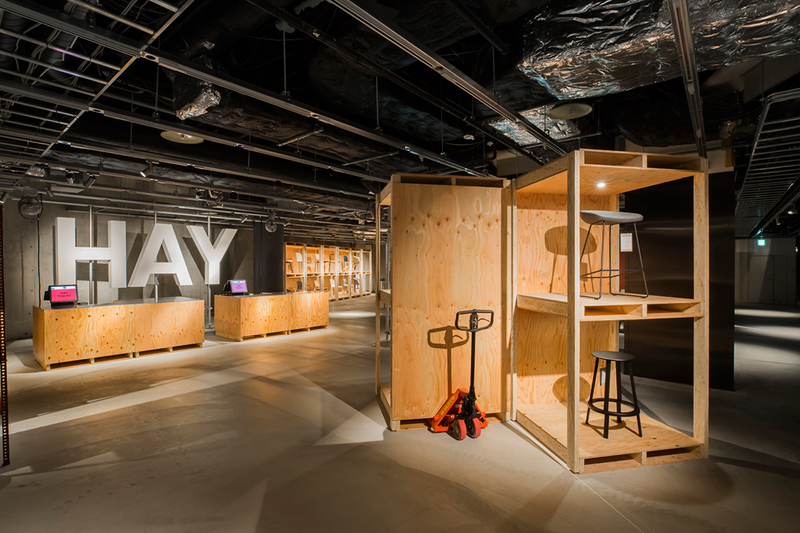 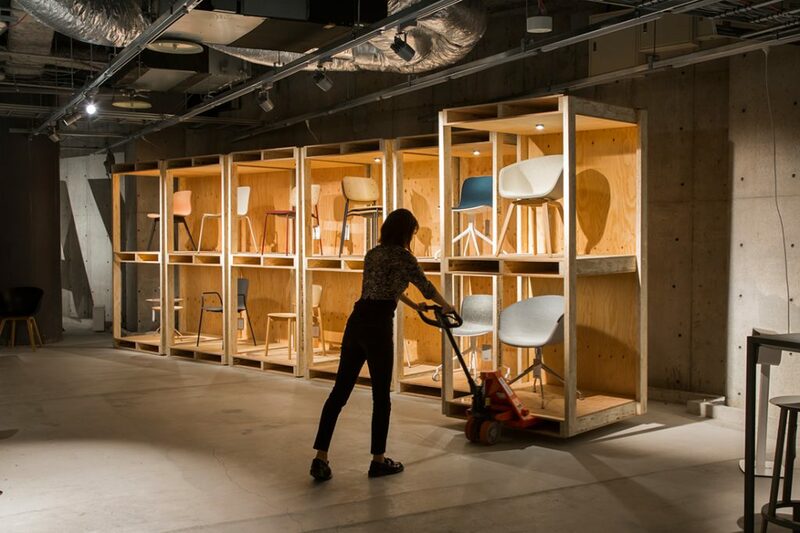 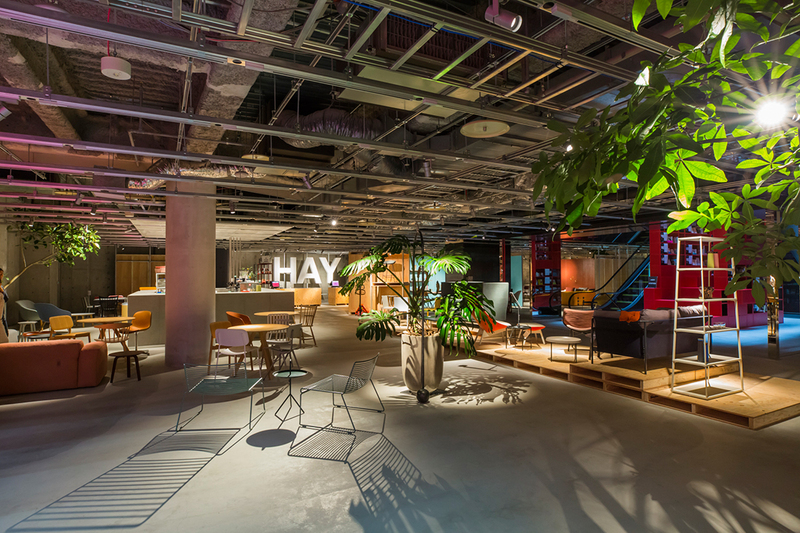 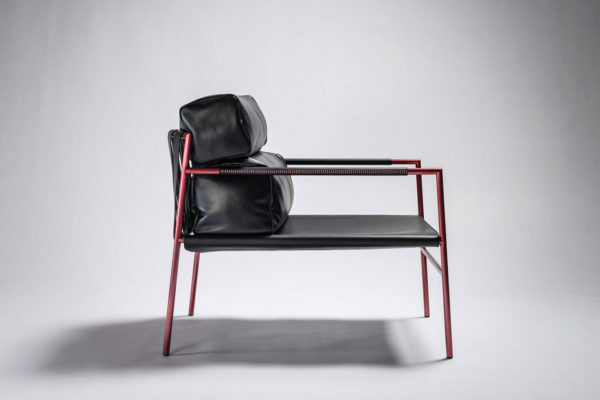 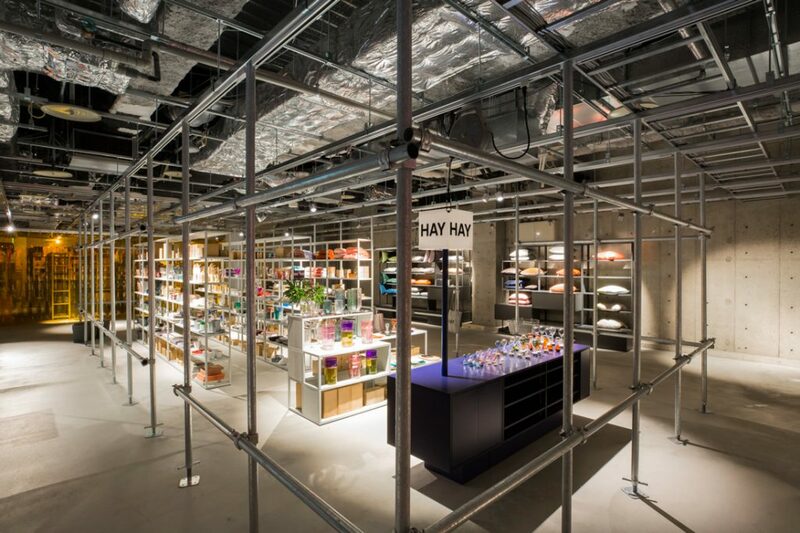 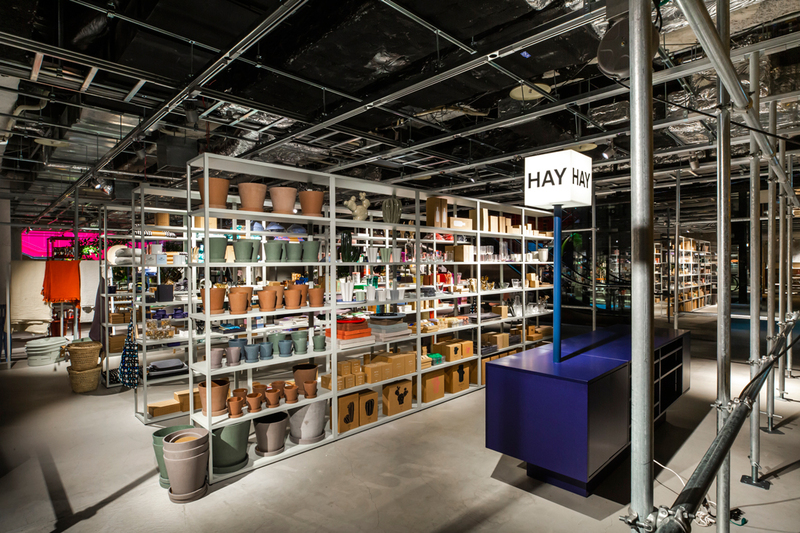 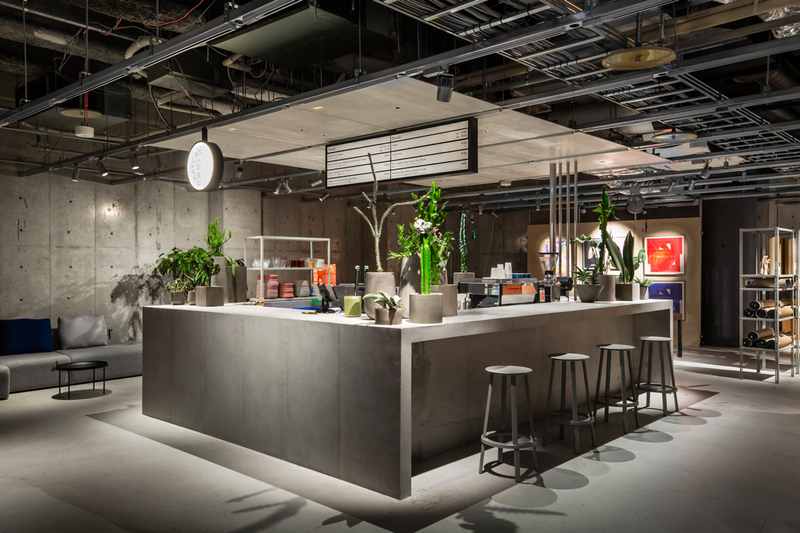 Jo Nagasaka of Schemata Architects designs movable display systems for HAY TOKYO, allowing the temporary store interior to move and grow as its needs change. 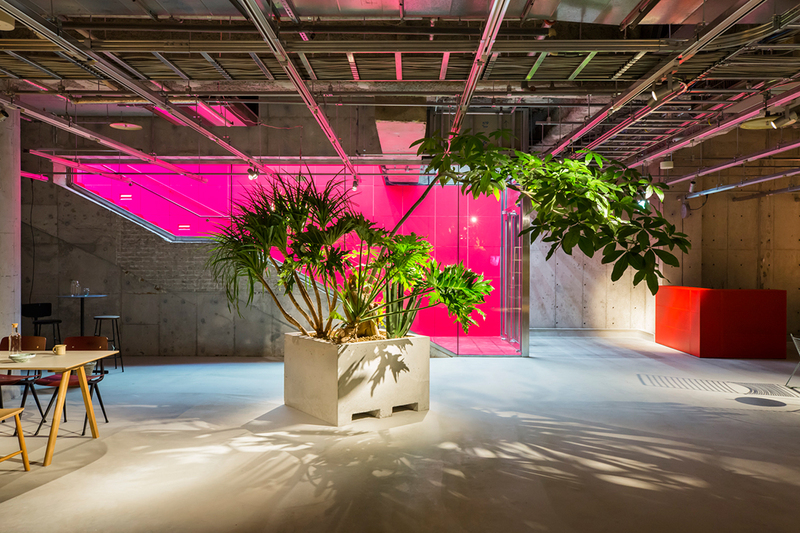 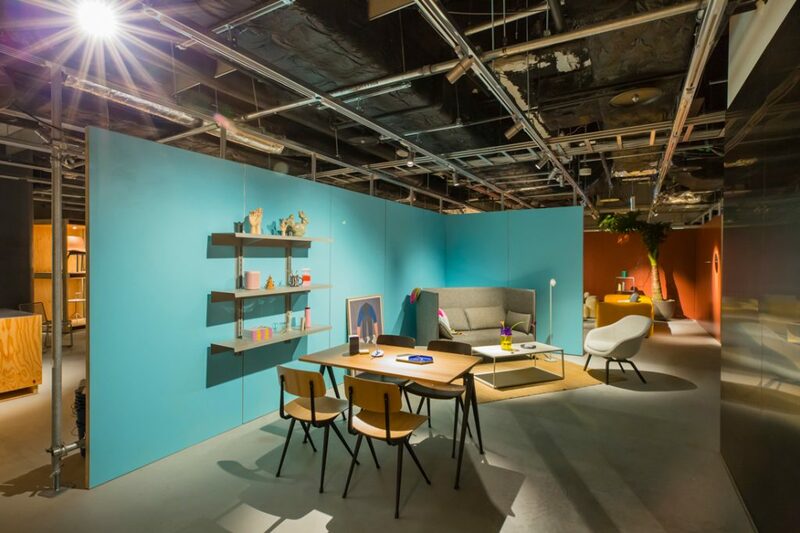 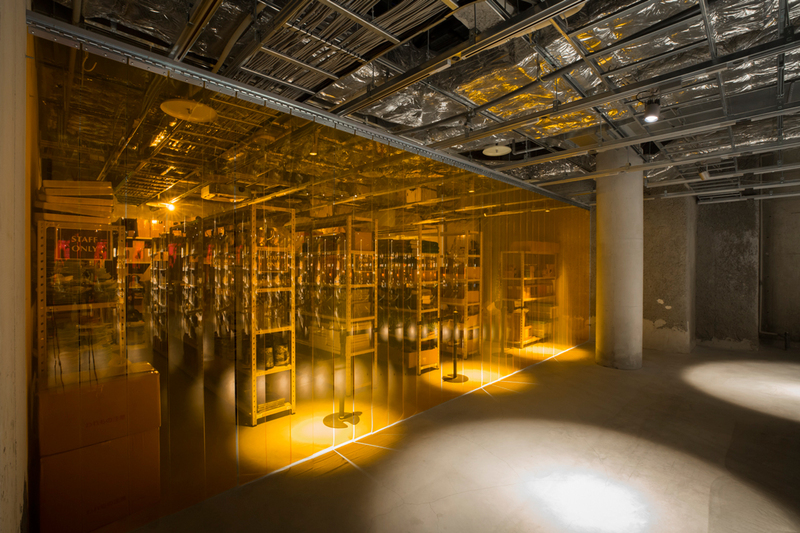 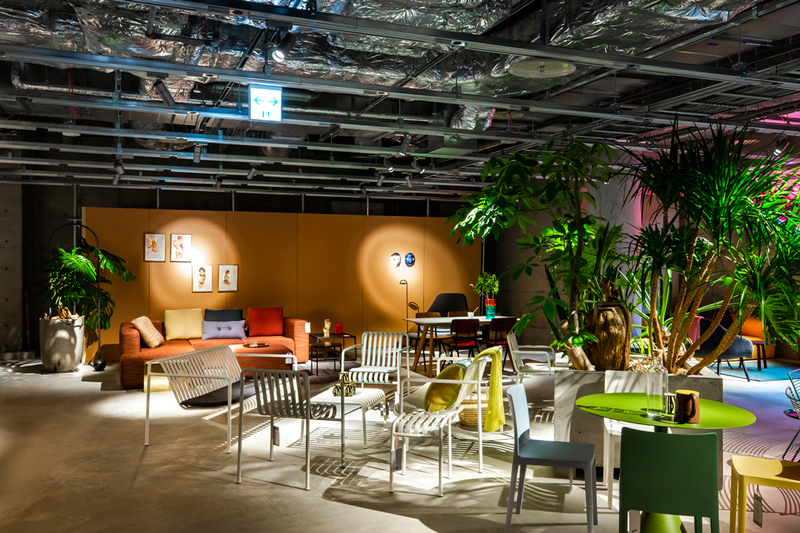 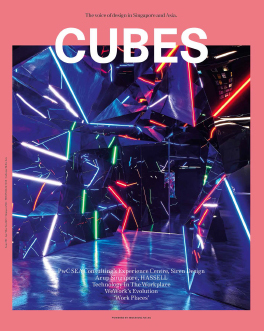 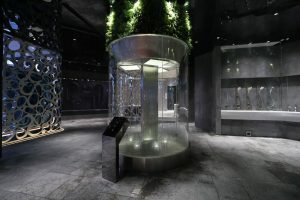 A subterranean space is making its presence felt at street level in Shibuya-ku. 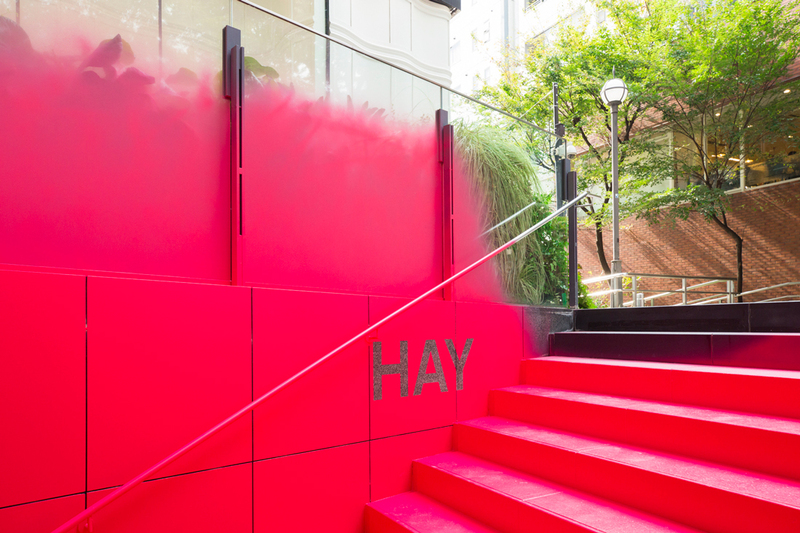 Vivid pink spray paint coats a stairway and creeps antagonistically up the surrounding glass balustrade – an unexpected marker of something unconventional happening below. 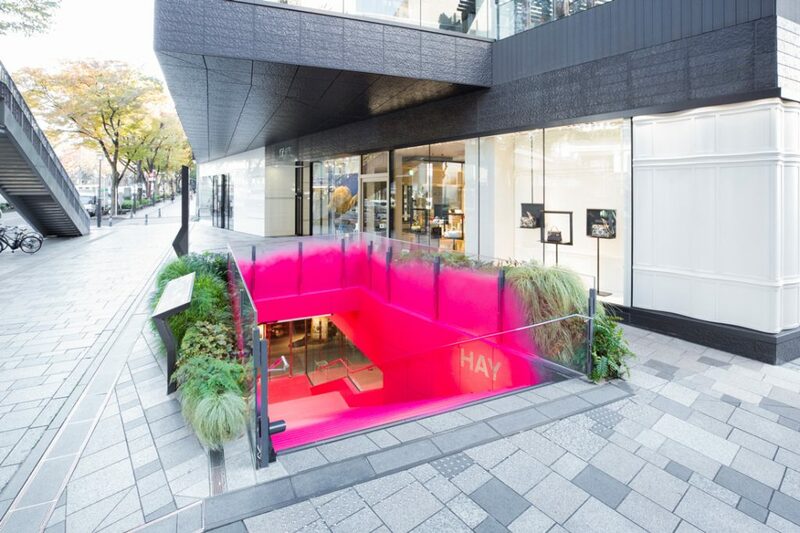 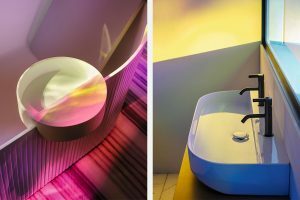 “Instead of guiding people using signs in Omotesando, a district already overloaded with signs, we decided to draw people’s attention by doing something we are not supposed to do in this city – that is, to vividly spray-paint the entire stairway and the existing walls around it,” explains Jo Nagasaka of Schemata Architects.